[font=Tahoma]Simple sights for crossbows, for the simple working crossbowman. Inspired by Scoped Bows by OutLaw666. 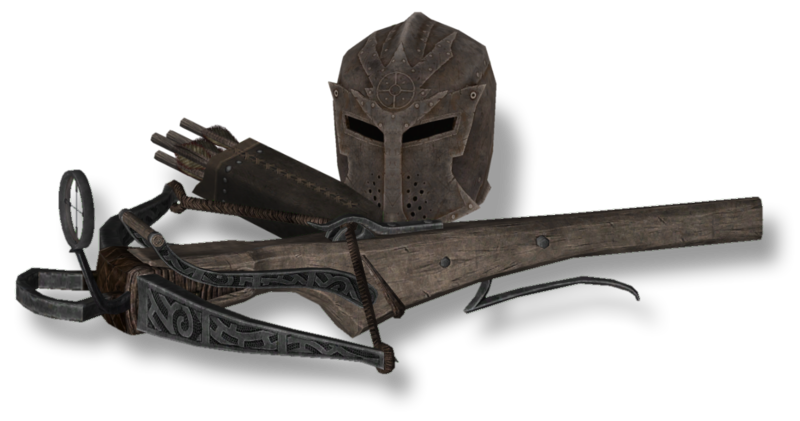 [font=Tahoma]The addition of a Crossbow Field Kit (miscellaneous item) allows the player to quickly toggle between regular sights and “night sights” (not to be confused with “night vision”). This should make it easier to use the sights in low light conditions. How to use: Craft a field kit at the forge (misc), equip a scoped crossbow (only works for the enhanced versions) then activate the kit inside the misc inventory. The currently equipped scoped crossbow will now have the night sights. Activate again to switch back to the normal sights. Since this works by changing the mesh of the crossbow, the stats, temper quality and enchantment of the crossbow will be unaffected by this feature. 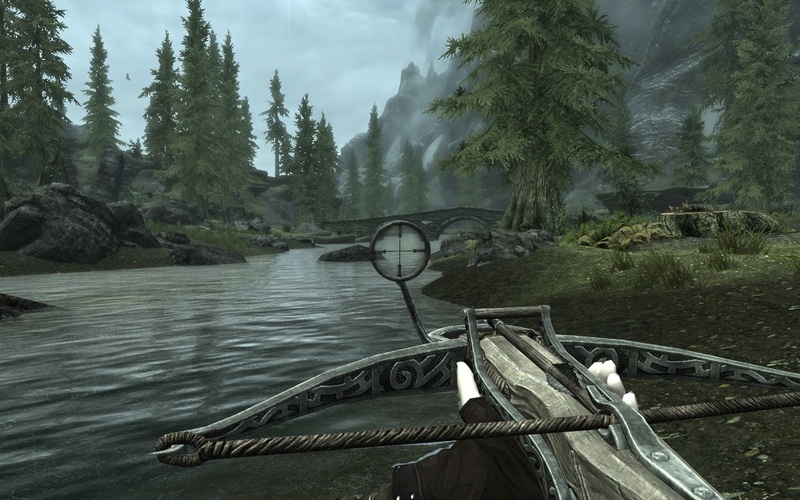 Standard Version: Scoped crossbows are acquired by crafting them at the forge. Crafting and tempering materials follow vanilla conventions, and the Dawnguard quest and location related crafting restrictions for crossbows do apply. Skyrim lore-friendly, somewhat. 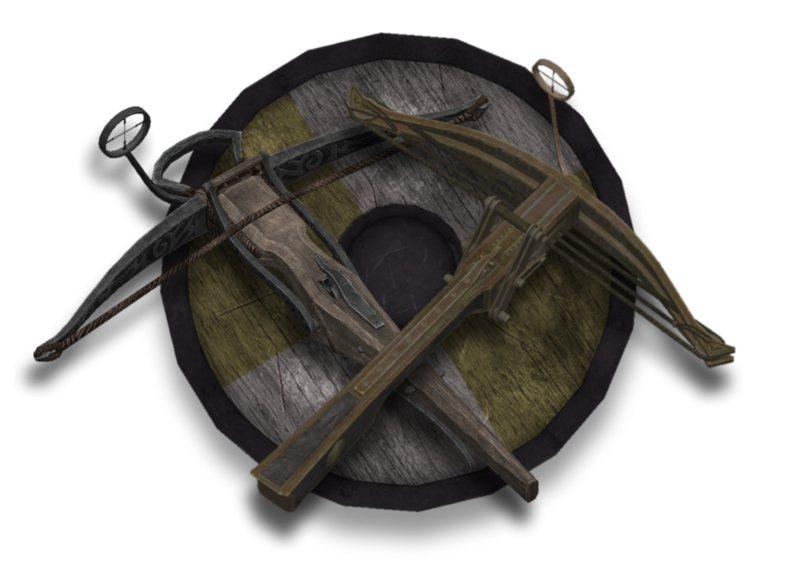 Craftable For All Version: The long lost ancient secrets of crossbow craftsmanship have resurfaced, and have been revealed to all. Vampires and mortals alike are now able to create scoped crossbows at any forge of their choosing – this basically means quest and location restrictions no longer apply. 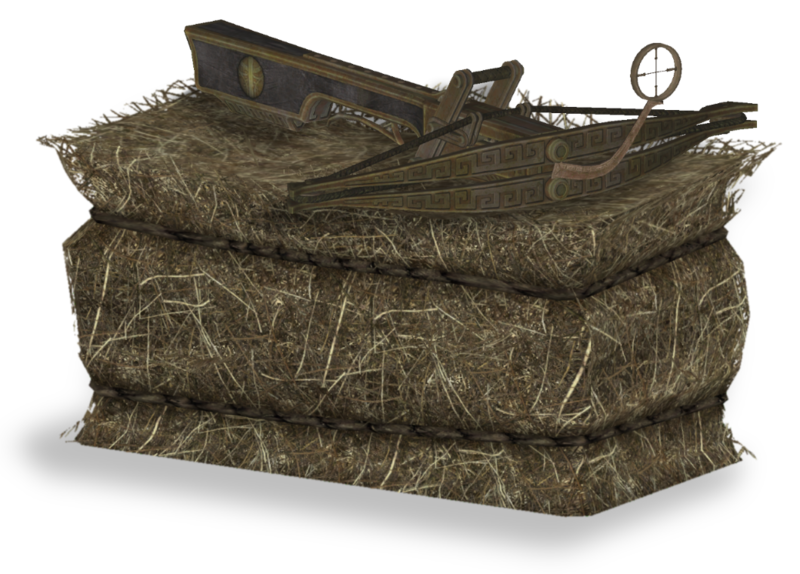 The restrictions removal also affects vanilla crossbows, as well as ammunition for the crossbows (steel and dwarven bolts). Not particularly Skyrim lore-friendly, due to the removal of quest restrictions. [/url]Immersive HUD – iHUD[/url] by Gopher. Useful for automatically turning the crosshair off when a ranged weapon is equipped, among many other nifty features. Stealth Meter Tweak by andrelo1. Use to reposition the stealth meter away from the sights. Includes a compatibility patch for iHud, to prevent iHud from hiding the stealth meter. No More Glowing Weapons Mod by PukinDumpling. 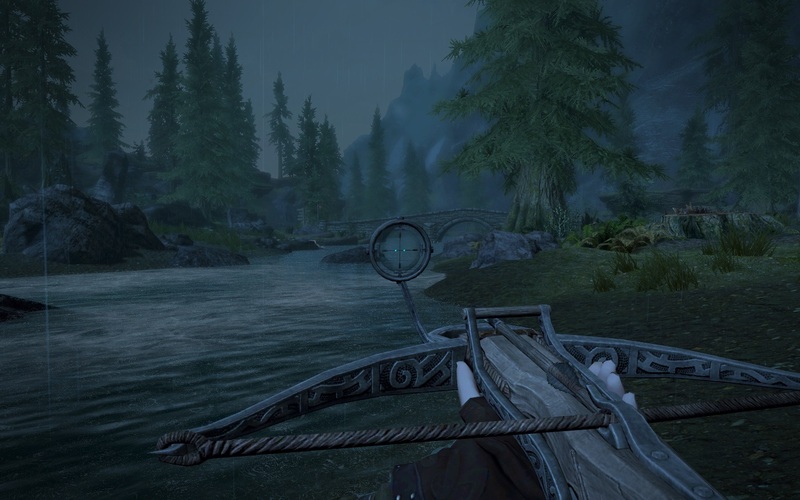 Scoped crossbows uses lenses on the sights (purely aesthetic purpose), and when the crossbows are enchanted, the enchantment glowing effect will extend to these lenses as well, making it harder to see and aim through the sights. This helpful mod works by turning the enchantment effect transparent, although it affects all weapons in-game as well. [font=Tahoma]ABT – Arrows and Bolts Tweaks by kevkas. Use the bolts tweaks to increase velocity of bolts fired e.g. +25% or +50%, for faster bolts with flatter trajectories to make it less difficult to score hits on targets further away[/font]. [font=Tahoma]In that regard, this mod should be compatible with most other mods. [font=Tahoma]Download and install with mod manager of choice, and add/activate the mod. Deactivate the mod in your mod manager, remove/delete if desired. If uninstalling manually, go into your data folder and delete all the mod’s files. Folders involved are meshes, textures and scripts, as well as the esp. Refer to the mod zip file to identify which specific files to delete.